Ryan Ross - it's question mark which hovers above the whole band if you were there first time round. Disturbed beautiful poster boy for the Panic generation, maybe not quite up there with Gerard Way, but he was the lyricist behind the band's finest moments and undoubtedly the musical force behind their shift away from avant-garde pop to Psychedelic 60s British Pop fanciers if the formation of The Young Veins is anything to go by. So now we're here for the first Manchester date, the city that spurned the bands name, in a Ross-less band and you know what, lyrical trashiness of the new songs aside it still works. Kicking off with the latest single "Ready To Go (Get Me Out Of My Mind)", a song so camp and overtly pop it nearly knocks Gaga off her perch. 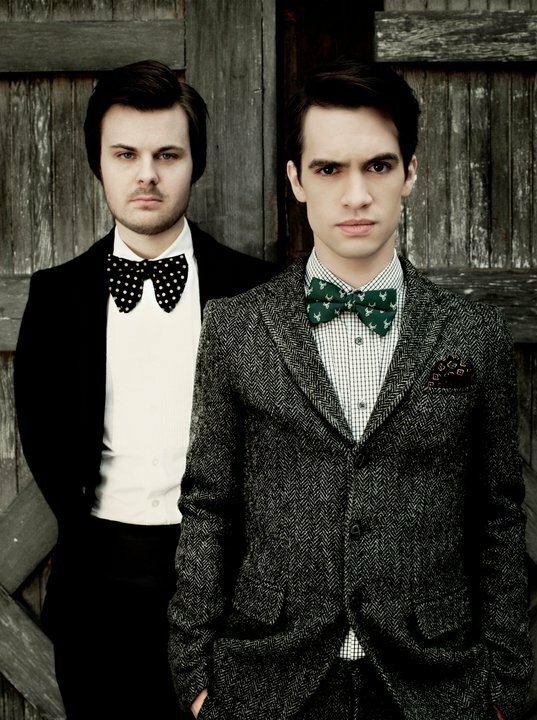 It kind of doesn't matter that the songs so throwaway and disposable with Brendan Urie fronting. Saturday Idol looks and bee-stung lips and literally a personality so infectious he could be singing his shopping list and the adoring sold out audience would lap it up. With a set focused on the high energy debut "A Fever You Can't Sweat Out" and the latest "Vice And Virtues", missing out the "Pretty. Odd" entirely bar singles "Nine In The Afternoon" and "That Green Gentleman", the younger members of the audience are hyper for the dayglo and energy, whereas the older members still hark for something lyrically challenging which they get on the older tracks. "Camisado" and "The Only Difference Between Martyrdom And Suicide Is Press Coverage" more than deliver in equal amounts. The new songs are pop and bizarrely "Memories" sounds like Brian McFadden's "Irish Son" sped up (just youtube it), while "Hurricane" has a MIA style beat before heading into traditional territory. Panic have always had a bizarre selection of covers and few would throw John Mayer (Your Body Is A Wonderland), Michael Jackson (Billie Jean), The Smiths (Panic) and Kansas (Carry On My Wayward Son). The latter made recently popular on Rock Band 2, which explains how so many people tonight know it.